Pre-Construction – Walk to the Beach! 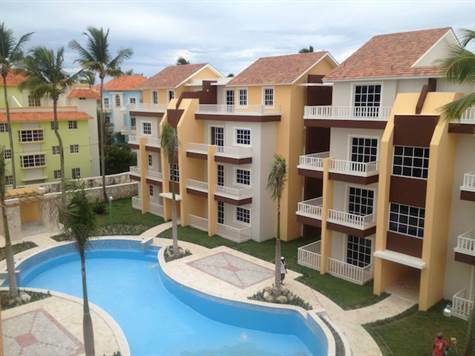 Estrella del Mar is brand new community in the heart of El Cortecito. See El Cortecito/Los Corales Neighborhood page for additional community information. Developed by one of the most reputable builders of the area with over 125 units built in El Cortecito area in the last 5 years. Communities such as Palm Suites, Coco Mar, Villa Palmeras and Santa Maria del Mar. This will be the developers best condo beach community to date. Estrella del Mar is approximately 300 meters, 4 minute walk to the white sand and colored turquoise waters of El Cortecito Beach in Bavaro-Punta Cana. A PROSPECTIVE PURCHASER SHOULD REFER TO THE ENTIRE SET OF DOCUMENTS PROVIDED BY THE DEVELOPER AND SHOULD SEEK COMPETENT LEGAL ADVICE IN CONNECTION THEREWITH. PRICES, AVAILABILITY AND BUYING CONDITIONS ARE SUBJECT TO CHANGE WITHOUT NOTICE.